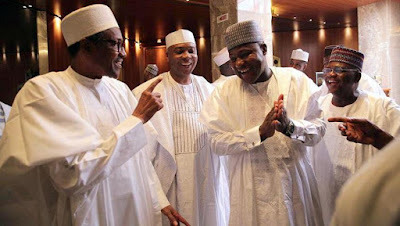 PRESIDENT Muhammadu Buhari, yesterday said he was embarrassed by the invasion of the Senate by suspected hoodlums, who made away with the mace, which is the symbol of authority of the upper chambers, and that proper investigation would be carried out to fish out those behind the invasion. This came as the Senate President, Dr. Bukola Saraki, and Speaker of the House of s, Mr. Yakubu Dogara, told President Buhari to call the Inspector-General of Police, Mr. Ibrahim Idris, to order and compel him to obey the laws of the land. They also described the arraignment of the Senator Dino Melaye, representing Kogi West, on wheelchair by the police as barbaric and uncivilized, saying it did not give a good image to the nation’s democracy. Meanwhile, the two presiding officers of the National Assembly said the 2018 budget report would likely be laid in the two chambers this week for its possible passage next week. 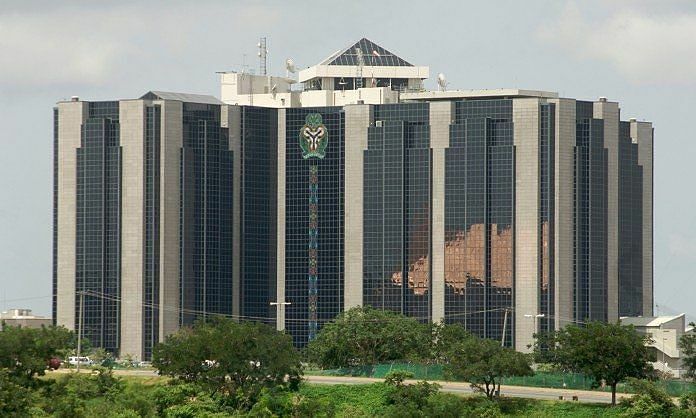 CENTRAL Bank of Nigeria yesterday disclosed that the sum of $119.409billion was spent on the importation of commodities into the country in five years. Of the amount, $36.371billion was expended on the importation of petroleum products from 2013 to 2017. The Director in charge of Research in the bank, Mr. Ganiyu Amao also lamented that the huge expenditure had affected the nation’s external reserve and induced the depreciation of the naira. He said: “Data from the CBN show that from 2013 to 2017, a total of foreign exchange committed to imports in the country stood at $119.409billion, while the total foreign exchange committed to imports in the oil sector stood at $36.371billion, representing 13.5percent of all imports made by the country. 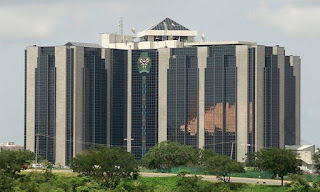 It greatly exerts serious pressure on our external reserve and depreciates the value of our local currency.” He revealed that CBN subscribed to policies that compelled International Oil companies, IOCs, to refine some of the crude for domestic consumption. Vice President Yemi Osinbajo said yesterday that Nigeria recovered about N7.8 billion, $378 million and £27,800 through the Whistle-blower’s Policy launched by President Muhammadu Buhari in December 2016. He also said the Federal Government met no savings in the accounts when the Buhari administration came on board. Osinbajo spoke at the opening of the Open Government Partnership (OGP) Week holding at the Nigerian Air Force Headquarters, Abuja. According to him, the Presidential Initiative on Continuous Audit (PICA), which oversees the Whistleblower’s Policy in the Ministry of Finance, has helped the government to save over N200 billion by eliminating ghost workers. PICA was established to clean up the payroll and pension system across all the ministries, departments and agencies. Osinbajo said the government had included recovered assets in the country’s annual budget since 2017 and invested them in infrastructure as well as in the Social Investment Programme. “All funds forfeited to the Federal Government are being included in our yearly budget proposals, for appropriation by the National Assembly,” he said. He said that an executive bill has been sent to the National Assembly for the purpose of enacting a more comprehensive legislation on proceeds of crime. Osinbajo recalled that on assumption of office, the rate of corruption was threatening the country’s existence, as the administration did not meet any savings. Speaking on the topic: ‘The impact of Open Government Partnership to Nigeria’s anti-corruption efforts’, Osinbajo said “for too long, the resources meant for the majority have been sadly cornered by a greedy minority”. Nigeria told the UN General Assembly in New York that the Boko Haram terrorists no longer held any territory in the country. Nigeria’s Ambassador and Deputy Permanent Representative to the UN, Samson Itegboje, stated this while presenting Nigeria’s message at the ‘High-Level Meeting of the General Assembly on Peacebuilding and Sustaining Peace’ at the UN headquarters. Itegboje said the meeting was being convened at a time when the global community was facing unprecedented threats, geopolitical tensions, social dislocation, cyber-attacks, threat of climate change and terrorism. “Nigeria has had her fair share of these crises, amongst other vices. Boko Haram insurgents annexed 14 Local Governments in Borno in the North East of Nigeria. However, on assumption of office in 2015 President Muhammadu Buhari ensured the recovery of the annexed territories. Today, Boko Haram insurgents no longer hold any territory in Nigeria,” he said. He noted that Resolutions 70/262 of the General Assembly and 2282 (2016) of the Security Council on the Review of the UN Peacebuilding Architecture addressed the UN approach to peace, focuses on prevention. He said since 1960, Nigeria had been an active participant in UN peacekeeping missions, deploying Military contingents, unarmed Military Observers, Military Staff Officers, formed Police units, Police advisor and Civilian Experts to over 25 UN Missions. Vice President, Yemi Osinbajo, has disclosed that the United Kingdom is investigating fraud perpetrated during former President Goodluck Jonathan’s administration. Osinbajo disclosed this in a statement by his spokesman, Laolu Akande, yesterday. The vice president’s spokesman specifically disclosed that Jonathan and two people in his cabinet got N88 billion, illegally, in one day. Akande insisted that Osinbajo was not lying when he spoke at The Platform, last week, when he (the vice president) said “grand corruption remains the most enduring threat to our economy. “Three billion United States dollars was stolen in what was called the strategic alliance contacts in 2013, three Nigerians were responsible, today $3 billion is NI trillion and our budget is N7 trillion.” In his reaction to a report attributed to “Jonathan’s Media Office,” on previous allegations, Akande disclosed how the looting under Jonathan has been a subject of criminal investigation and trials, even in the UK. The VP’s spokesman listed what he called “facts on grand corruption” carried out under Jonathan’s administration, which he described as a tip of the iceberg. He stated that the “facts” are “the release of $289 million on February 25, 2015, illegal disbursement of N60 billion…most of which ended up in the hands of senior members of the PDP–then ruling party, $3 billion stolen in the so-called NNPC Strategic Alliance Contracts, N40 billion from CBN, released for the PDP presidential primary, among others.” Akande also said the amount released from the CBN, in cash, on a single day, “that is, $289 million (N88.1 billion) is enough to fund 244,000 N-Power graduates for a year, or pay for 1.2 billion school meals or complete half of Lagos-Ibadan or half of Abuja-Kaduna-Kano roads. The presidential aspiration of former Vice President Atiku Abubakar appears to be gaining momentum as some prominent leaders of the PDP in the South-West have already zeroed-in on him as the party’s candidate ahead of the 2019 general elections. 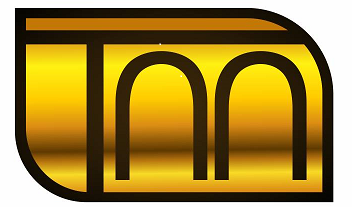 Sources said that the leaders have been working together, albeit underground, to galvanize support for the former number two man in the zone ahead of the party’s presidential primary which is expected to take place in August. Atiku, who dumped the ruling All Progressives Congress for PDP in November 2017, served as vice president between 1999 and 2007 under former President Olusegun Obasanjo. He has been going round the country in rousing support for his presidential ambition in the 2019 general elections. The PDP had zoned its presidential ticket to the North and Atiku alongside former governors of Jigawa, Kano and Kaduna states, Sule Lamido, Ibrahim Shekarau and Ahmed Makarfi, as well as Gombe State Governor, Ibrahim Dankwambo, have already declared interest for the race. According to a source, most of the PDP leaders in the South-West have secretly been supporting the Turaki Adamawa ahead of the party primaries. “As we speak, most of the leaders of the party in the zone are already in sync with Atiku’s ambition and they have settled for him. Two former governors in the zone are in the vanguard of the support from the South-West. He has done a lot of underground work even with the socio-cultural groups like Afenifere, Ohanaeze and other groups. He promoted many of the symposiums on restructuring and he has been meeting with people. “As we speak; series of meetings and consultations are ongoing,” he said. The national chairman of the opposition People’s Democratic Party Prince Uche Secondus and all other politicians against whom the anti-corruption agencies had ongoing investigations will soon have their days in court, the Presidency said. Reacting to a letter to the United Nations Secretary General by Secondus, the Presidency said the opposition party was trying to mislead the UN. The Senior Special Assistant to the President on Media and Publicity Malam Garba Shehu yesterday said “It is only a matter of time before the law catches up with them and makes them pay for the grief their mismanagement of the past has caused and is still causing Nigerians.” The Presidency said the letter to the UN accusing President Muhammadu Buhari of several infractions confirms the PDP as a ‘bad loser’ desperate for another chance after being kicked out for failing the country. Shehu described Secondus’ letter as preposterous and comical, while blasting the opposition party for accusing the Federal Government of destroying Nigeria’s democracy. The Secretary to Government of the Federation (SGF), Mr. Boss Gida Mustapha, has said the Federal Government will soon make dossier of persons with significant control over incorporated companies available to the public in order to stop secret ownership of companies and property in the country. Mr. Mustapha said this is to make investigation of individuals involved in companies used for acts of corruption easier. “For the first time in Nigeria, secret ownership of companies and properties will be history when a public register of beneficial owners of companies will become open and operational. Government has also received assurances from the Corporate Affairs Commission (CAC) that in the immediate future, necessary dossier of persons with significant control over incorporated companies will be generated and made available on demand. With all these complimentary efforts in place, I am confident that investigation of individuals involved in companies used for acts of corruption will become easier,” he said. 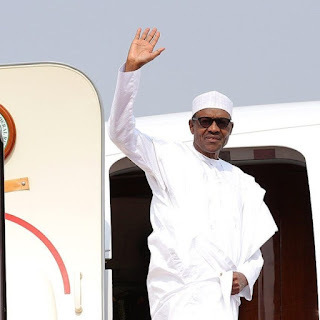 President Muhammadu Buhari will travel to the United Kingdom today on a four-day medical holiday. The Presidency said yesterday that the President will honour an appointment having been told to return for a “meeting with his doctor.” Senior Special Assistant on Media and publicity Garba Shehu, said in the course of the technical stop-over for aircraft maintenance in London on his way back from Washington DC last week, the President had a meeting with his doctor. He was requested to return for a meeting which he agreed to do. He is expected back on Saturday and “on his return, the President’s two-day state visit to Jigawa (State), which was postponed because of the All Progressives Congress’s Ward Congresses, will now take place on Monday and Tuesday..” The President spent 104 days on medical holiday in 2017.